Moving is stressful. When you have the added stress of trying to get your rental deposit back, it can be almost unbearable. Thankfully, our carpet cleaning team in Casper is here to help! We’ve helped many people get their rental deposits back and leave behind a clean apartment. Here are some of our helpful tips to getting back that deposit. Make your appliances shine. Appliances are one of the first things your landlord is going to look at to check on the condition of your apartment, so give them some extra attention. Defrost the freezer, wipe out the fridge, and clean your oven. Make sure everything is clean inside and out. Scrub the bathroom. A dirty bathroom can make the entire place feel grimy. Give your bathroom a deep scrub, paying particular attention to the toilet, sink, and bathtub. Landlords know that potential tenants will look closely at these areas, so they’ll want them to be as clean as possible. Get your carpets professionally cleaned. We’re not just saying this because we’re a carpet cleaning company in Casper! We’ve seen the huge difference this makes in a rental first hand. Landlords may be inclined to charge you for the cleaning or even the replacement of the carpet if they feel it’s been overly damaged during your stay. Having it professionally cleaned can often restore carpets to almost-new condition and give landlords no room for complaint. 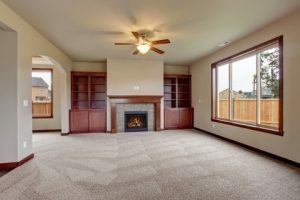 There is no guarantee that doing these things will get you the security deposit back, but when that chunk of change is on the line, it’s worth a little elbow grease and a call to our carpet cleaning team in Casper! You can reach us by clicking on the button below and requesting a free quote for your carpet cleaning needs. 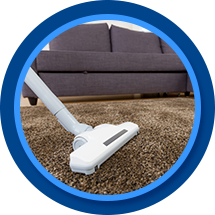 Get a Free Quote on Carpet Cleaning!